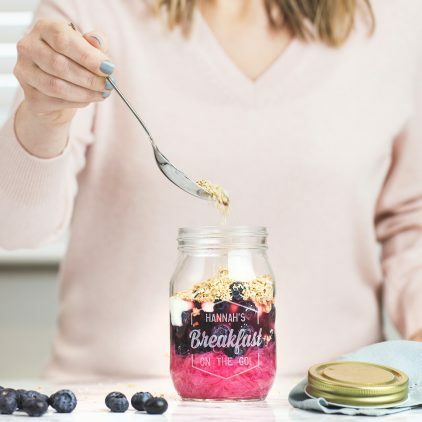 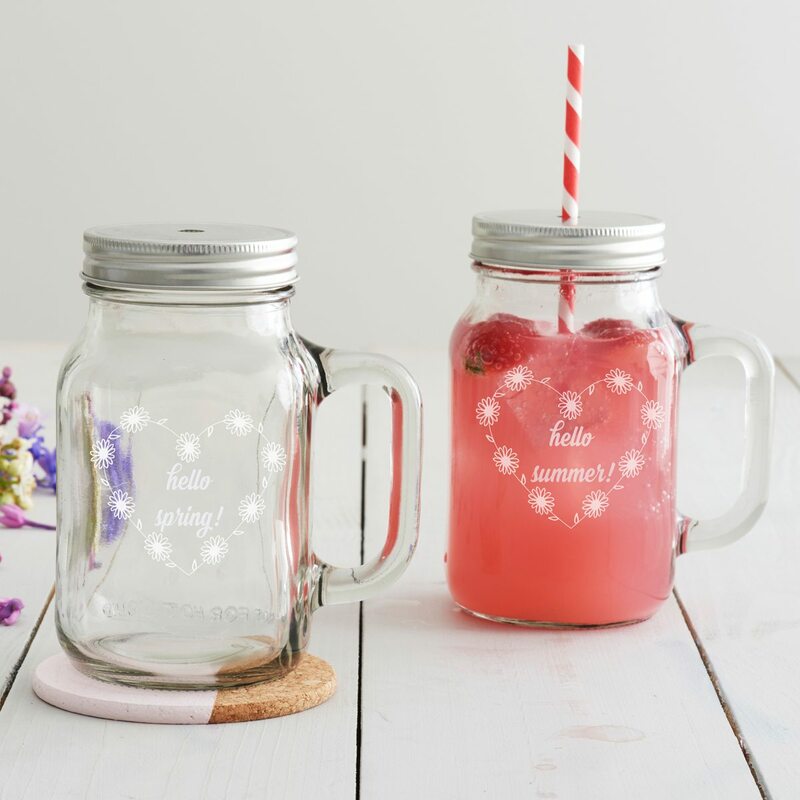 Start your day with our etched drinks jar, perfect for drinking your healthy breakfast smoothie. 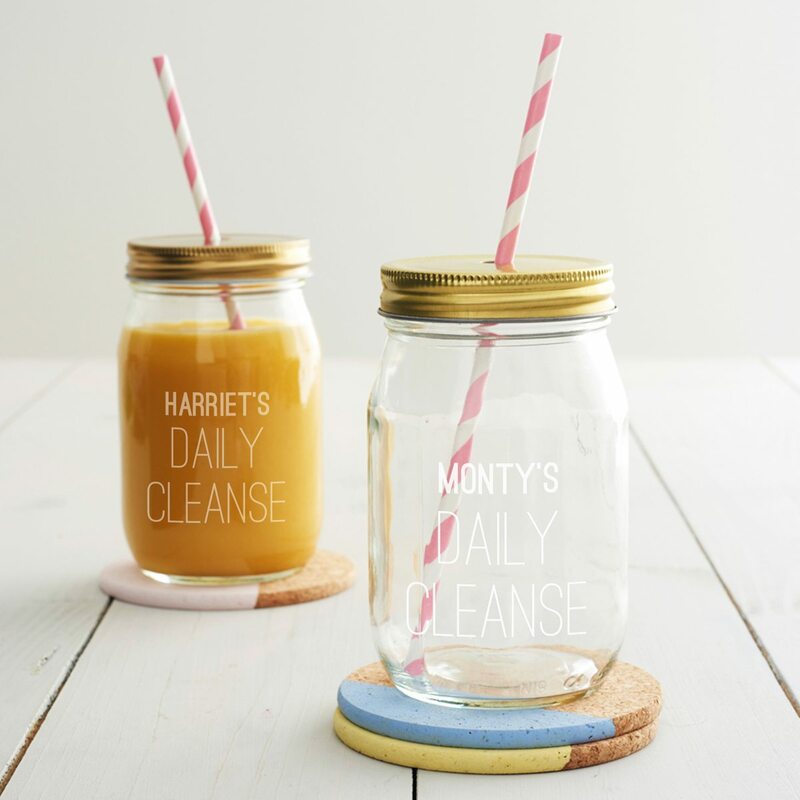 Enjoy your daily green smoothies with this personalised, hand etched juice jar. 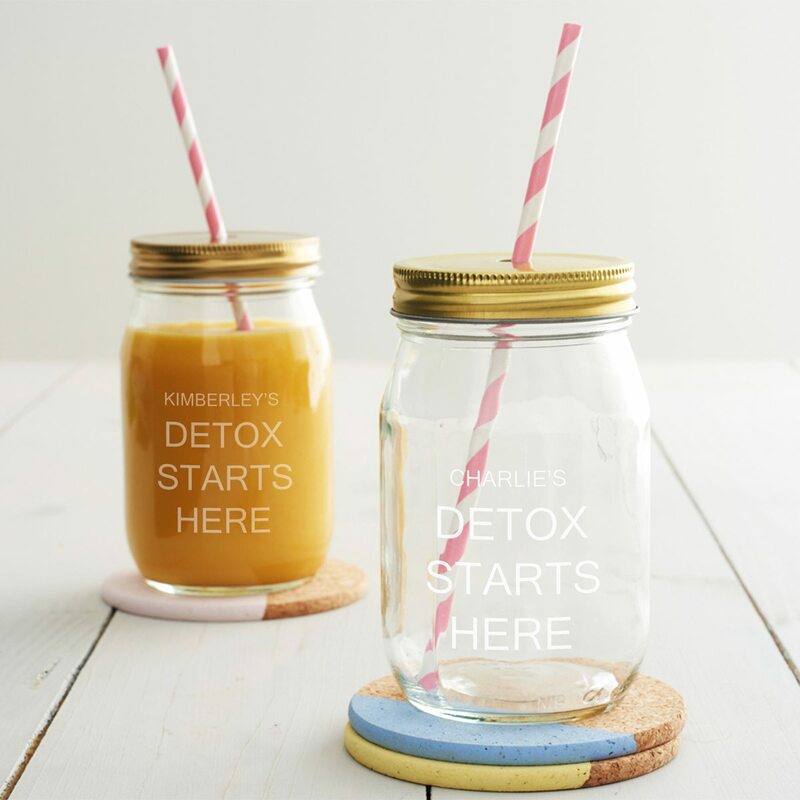 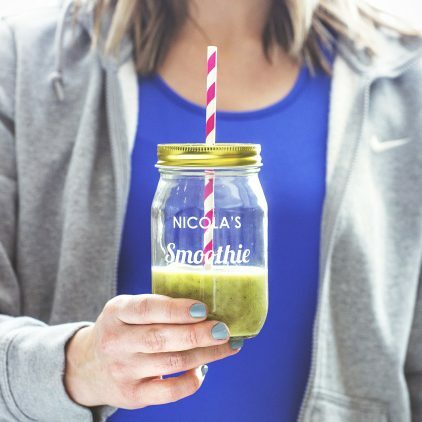 Start your detox as you mean to go on with this personalised drinks jar. 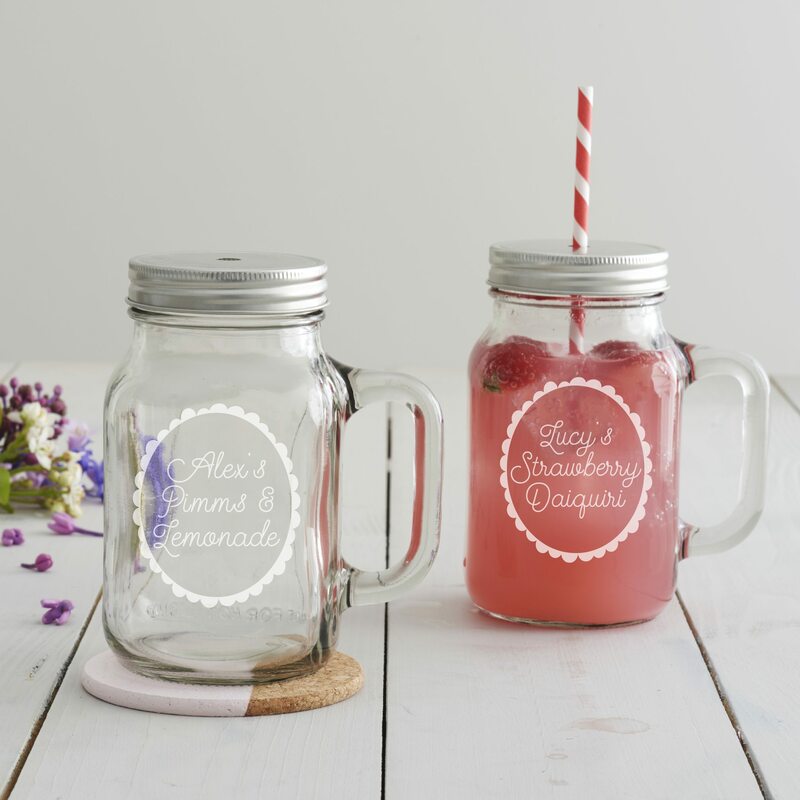 A personalised hand etched juice jar with a gold screw cap lid. 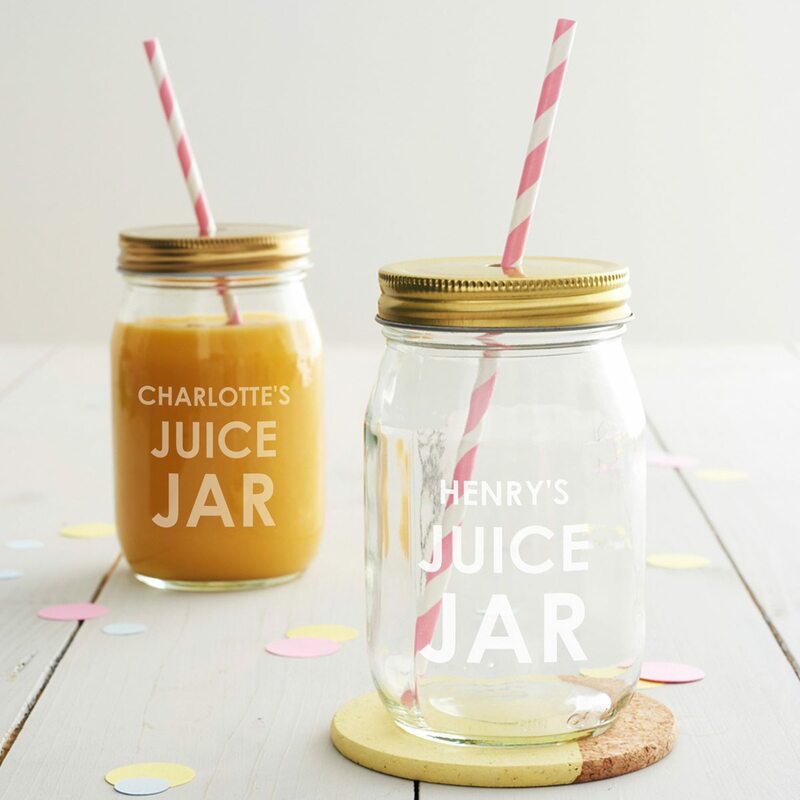 A personalised juice jar with a gold screw cap lid. 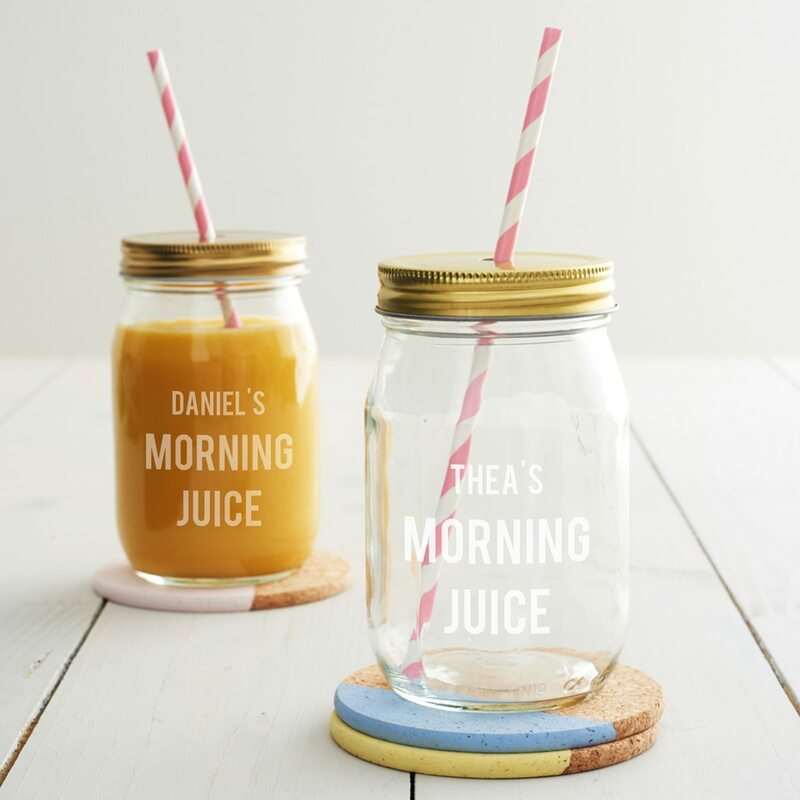 Our personalised smoothie glass is perfect for enjoying a breakfast smoothie on the go. 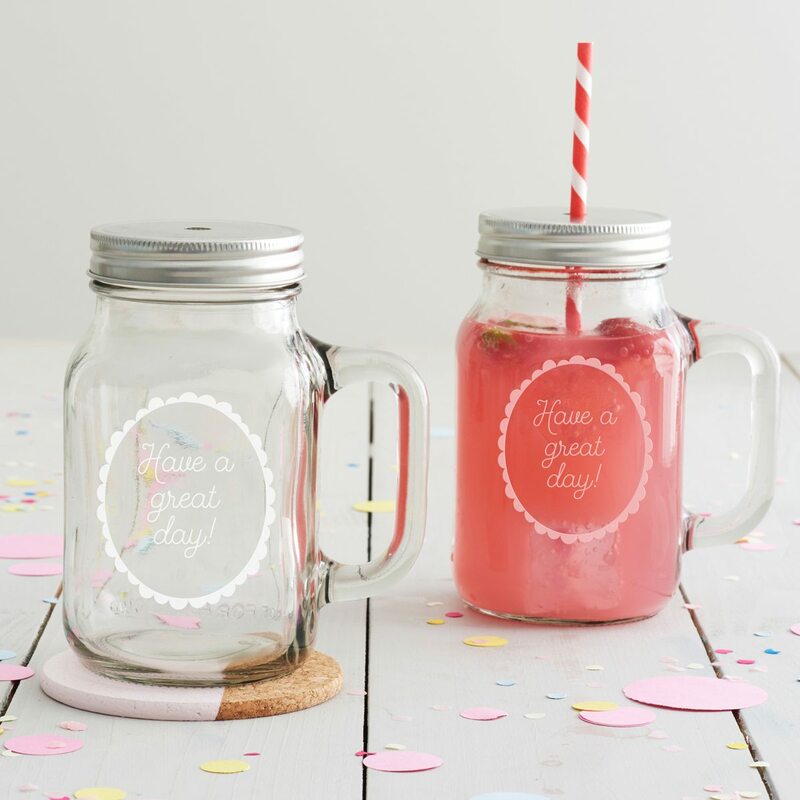 A personalised handled drinking jar perfect for sipping summer cocktails in the garden.